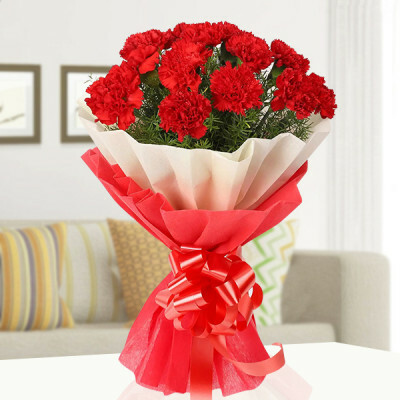 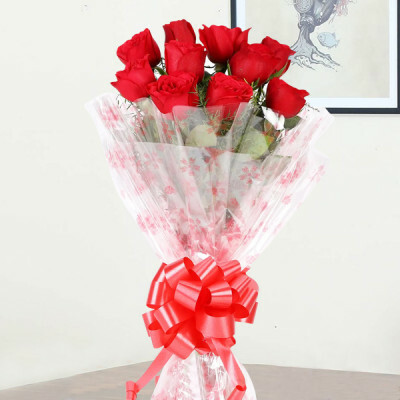 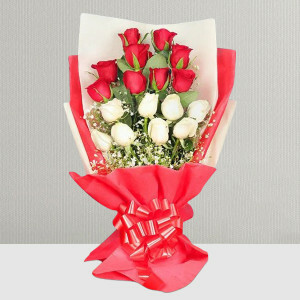 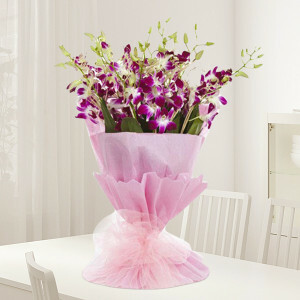 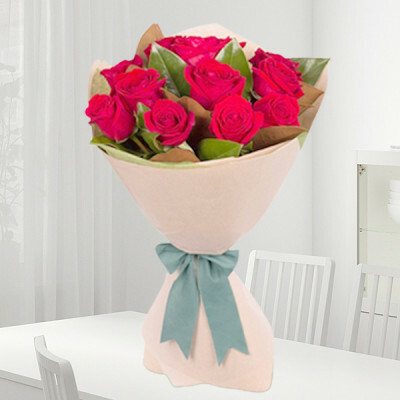 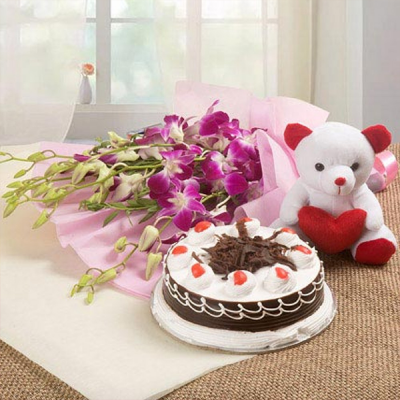 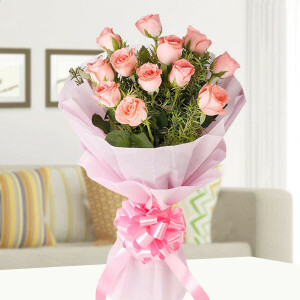 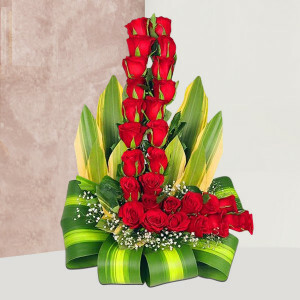 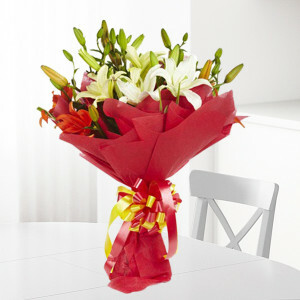 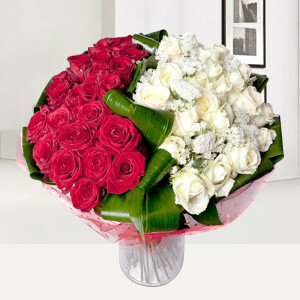 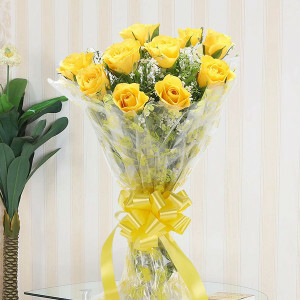 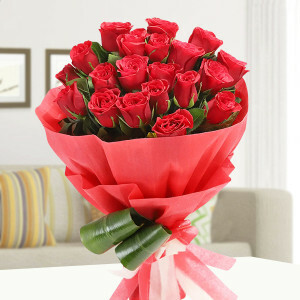 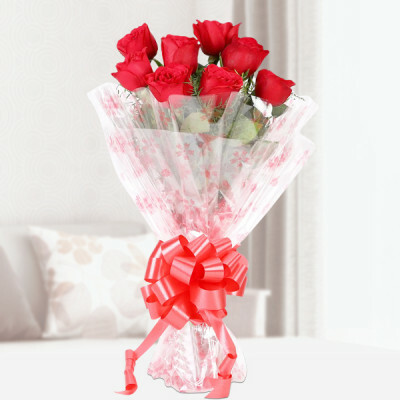 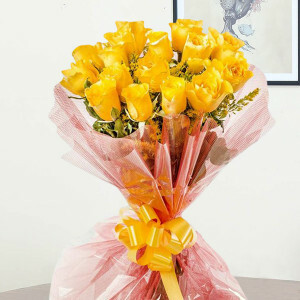 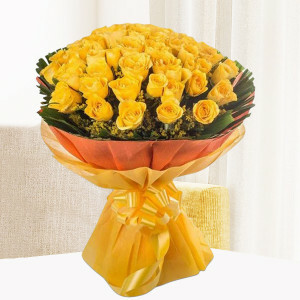 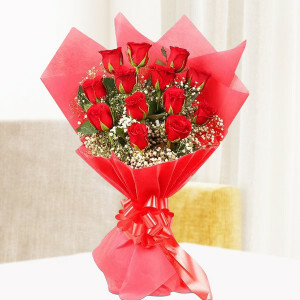 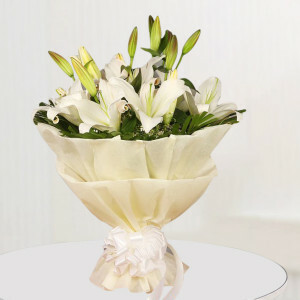 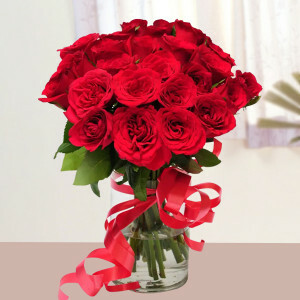 Spread joy in your beloved’s life, with online delivery of their favorite Valentine Flowers to Kolkata. 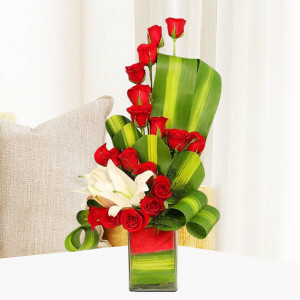 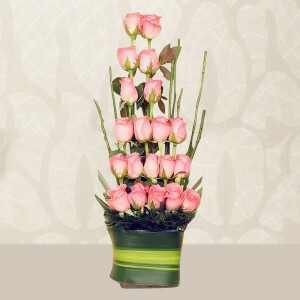 Get bouquets, vases, baskets, and floral arrangements of their favorite roses, gerberas, carnations, lilies, etc. 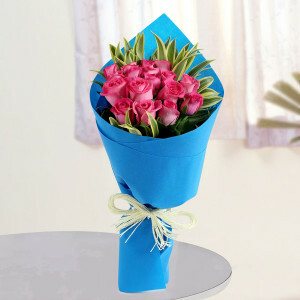 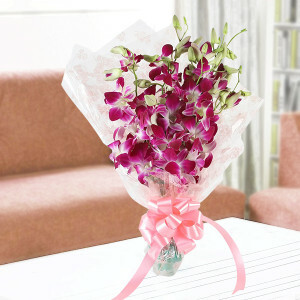 delivered anywhere in the City of Joy with MyFlowerApp. Often words are just not enough to express your love for your sweetheart properly. 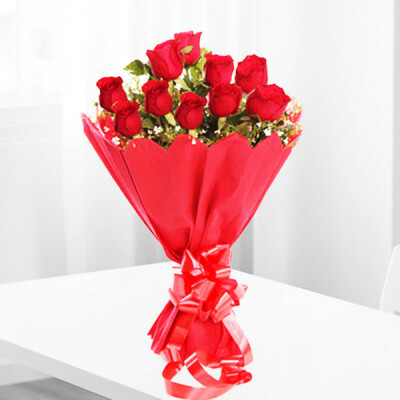 This Valentine's Day, let flowers be your medium of expression of your affection and MyFlowerApp be your Cupid. Send a bouquet of the traditional red roses or your darling’s favorite Valentine Flowers to Kolkata and let your husband, wife, girlfriend, or boyfriend know the depth of your emotions. 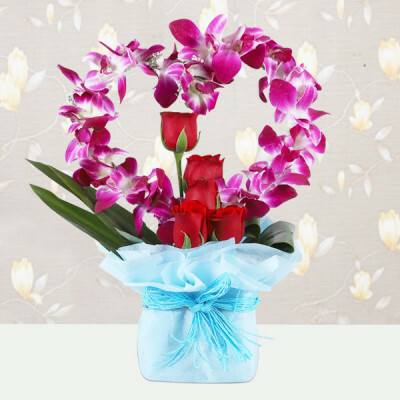 Get bouquets, vases, and baskets of stunning flowers to express your feelings for the one who owns your heart. 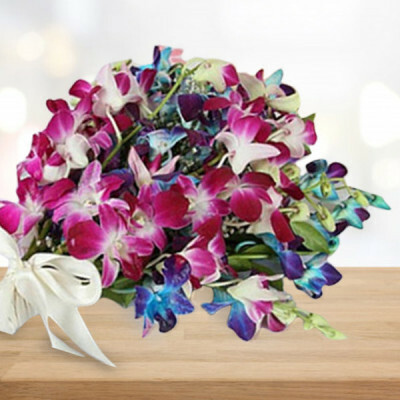 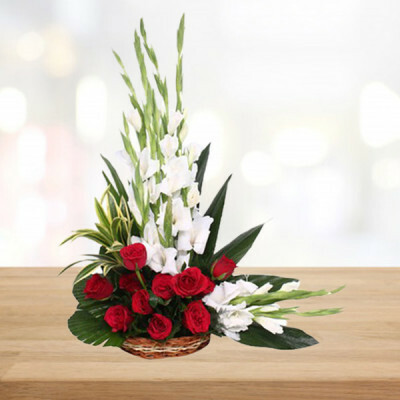 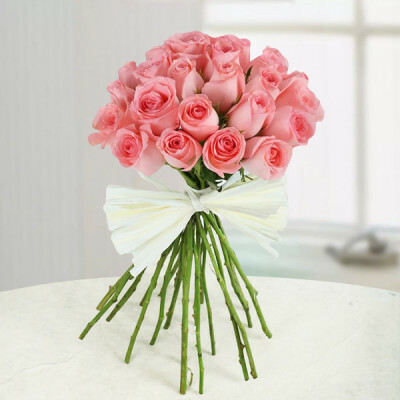 Get them set in elegant designs or choose from our extensive array of floral arrangements. 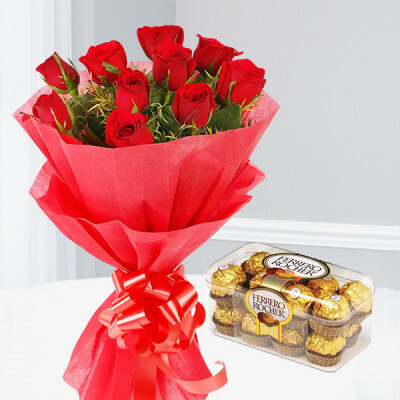 Order our ‘Pink Roses Heart’ or get the ‘Entire Roses from Garden’ and include a romantic quote along with it, like, “If I had a flower for every time I thought of you...I could walk through my garden forever.” Whatever you finally choose, add your partner’s favorite chocolates, cakes, Valentine gifts or maybe even a Roshgulla, to the mix, and quickly get them delivered, anywhere in the City of Joy. We cater to the entire city, including major areas like New Town, Behala, Garia, Ultadanga, Narendrapur, and Barisha. 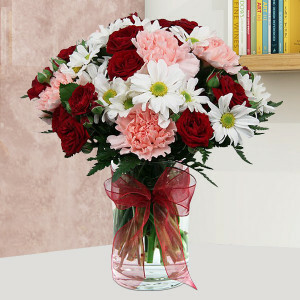 Flowers speak the language of love better than any poem can ever portray. 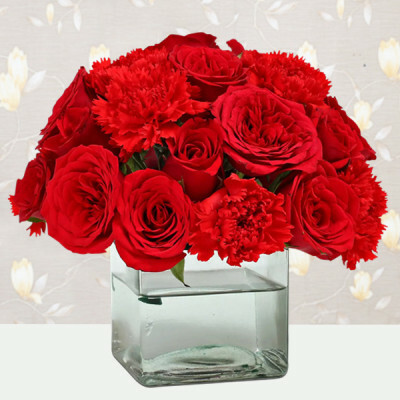 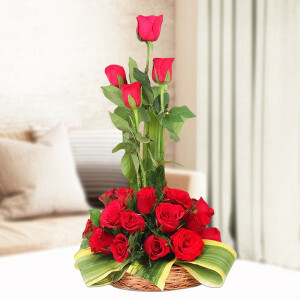 So this Valentine's Day 2019, send affectionate Valentine Flowers to Kolkata and express your love for your significant other. Choose from a surplus of elegant bouquets, vases, and baskets of their favorite flowers, or go with floral arrangements like ‘Red Roses in Heart-Shape’ or ‘Love Tower’ featuring pink roses and orchids. 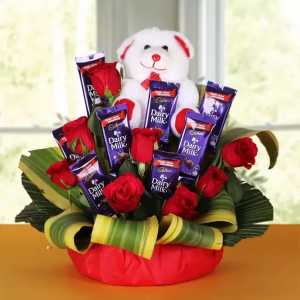 You can get them pre-arranged combos of their favorite flowers with chocolates or teddy bears too, like ‘Ferrero Rocher Roses Bunch’ and ‘Graceful Flower with Teddy’ featuring flowers and teddy combo. 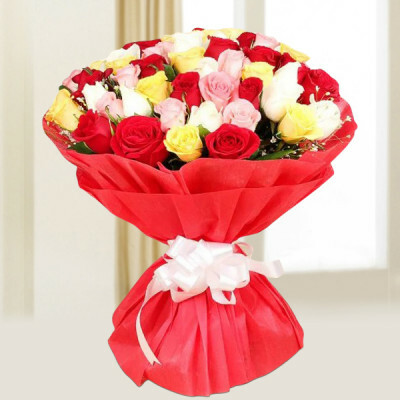 We will deliver your affection with these gorgeous flowers anywhere in the Heaven of the Aged including localities like Salt Lake, Dumdum, Keshtopur, Bhowanipore, Joka, Kasba, and Barrackpore. 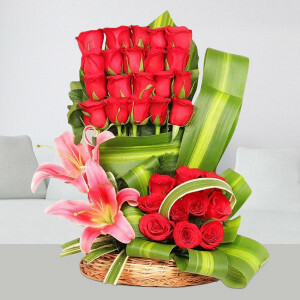 If you are planning a grand surprise for your partner, you can order one of MyFlowerApp’s Valentine Serenades. Send gifts for 2, 3, 4, 5, 6, 7, 8 days of Valentine, by booking combos of their favorite flowers or floral arrangements and other gifts in advance. 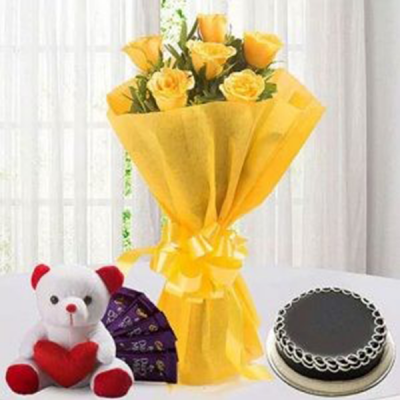 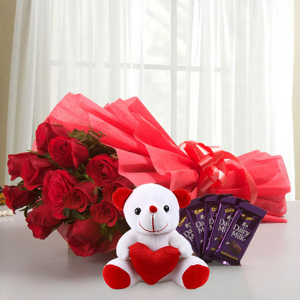 Send Valentine Week Gifts for the entire love week to your life-partner. Get a quick delivery of Valentine Flowers to Kolkata with MyFlowerApp’s same day and express delivery services to save your Valentine's Day from spoiling. 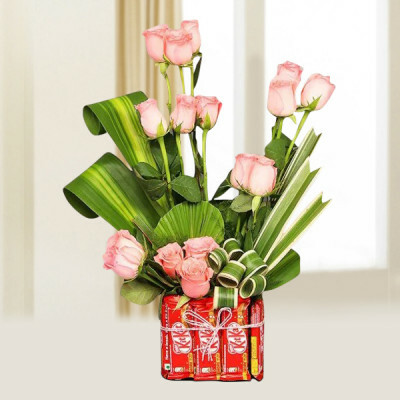 Or plan a surprise for the love of your life by getting midnight or early morning delivery of their favorite Valentines combos. 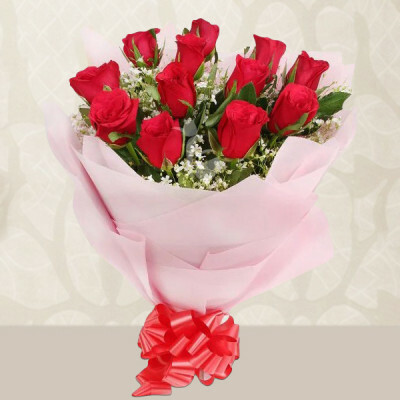 From red roses to heart-shaped red velvet cake, order all their favorites and get them delivered anywhere in the City of Palaces. We cover all of Kolkata including Baguihati, Belghoria, Rajarhat, Ballygunge, Baranagar, Jadavpur, and Sonarpur.